Harsh Verma did his schooling from KV and B Tech (Hons) in Computer Science & Engineering from Dehradun Institute of Technology. After that, He started working as a Software Engineer at Hike Messenger. His role as a software engineer was to explore and dive into various aspects of big-data technologies and machine learning, fixing regular issues/bug, developing content visualization console (WT-Forms, Python, Flask, HTML, CSS, JS) etc. He has also worked as a Software Developer Research Intern at Indian Institute of Remote Sensing (IIRS), Indian Space Research Organization (ISRO). In software engineering, a software development process is the process of dividing software development work into distinct phases to improve design, product management, and project management. It is also known as a software development life cycle. Software engineering is an engineering branch associated with development of software product using well-defined scientific principles, methods and procedures. The outcome of software engineering is an efficient and reliable software product. 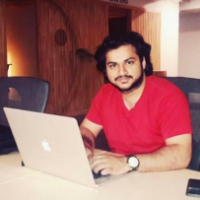 "After completing B Tech (Hons) in Computer Science & Engineering from Dehradun Institute of Technology, I started working as a Software Engineer at Hike Messenger. My role as a software engineer was to explore and dive into various aspects of big-data technologies and machine learning, fixing regular issues/bug, developing content visualization console (WT-Forms, Python, Flask, HTML, CSS, JS) etc. I have also worked as a Software Developer Research Intern at Indian Institute of Remote Sensing (IIRS), Indian Space Research Organization (ISRO)."